I was flipping through a magazine the other day and saw this lovely photo. 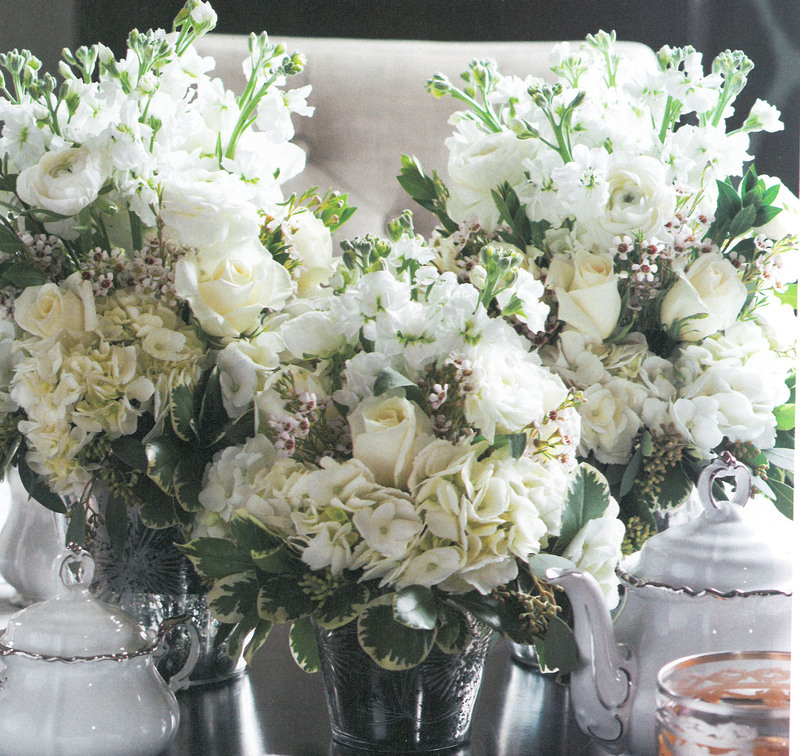 The soft, pale hues spoke to me. The whispered of loveliness and a certain aura of elegance. Turning the pages in another magazine, I found an entire spread about Palescapes and I was hooked. So I quickly started digging through my cupboards and storage closets to see what I could find. Like these plates. The one on the far left is from a Mikasa set Captain Cavedweller bought for me. The one next to it and the one on the far right are both from Willow House (formerly Entertaining at Home), the direct selling company I was proud to be a part of for several years. The dish with the delicate little flowers is part of a set my grandpa bought for my grandma way, way back when. This plate was a gift several years ago from my niece, Miss Molly, when she was still in school. 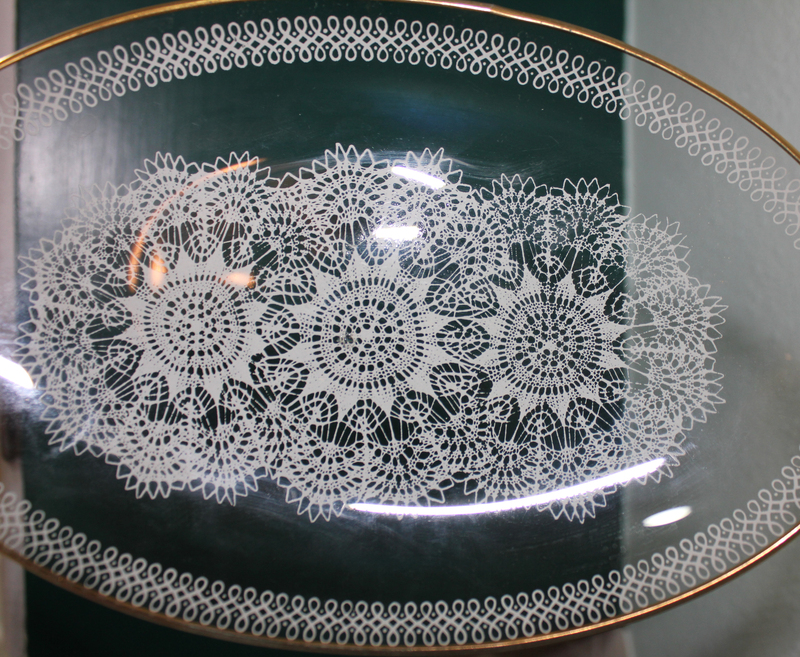 I love the beautiful lace etching on the clear glass. These five pieces were given to us (I say us, but I really mean me because Captain Cavedweller really isn’t all that excited about my dish collections) right after Christmas by two people who are very near and dear to our hearts. 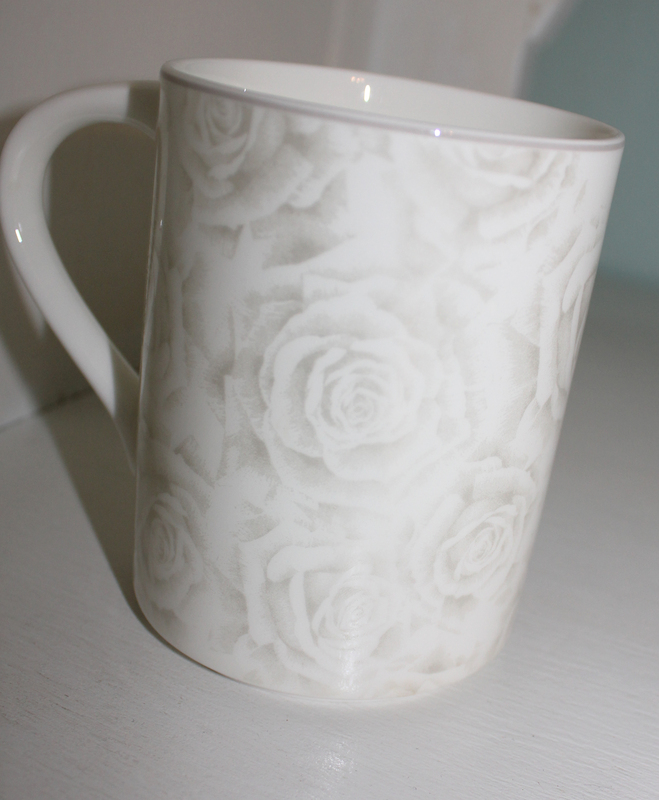 A beautiful mug, part of the Mikasa set, from CC. 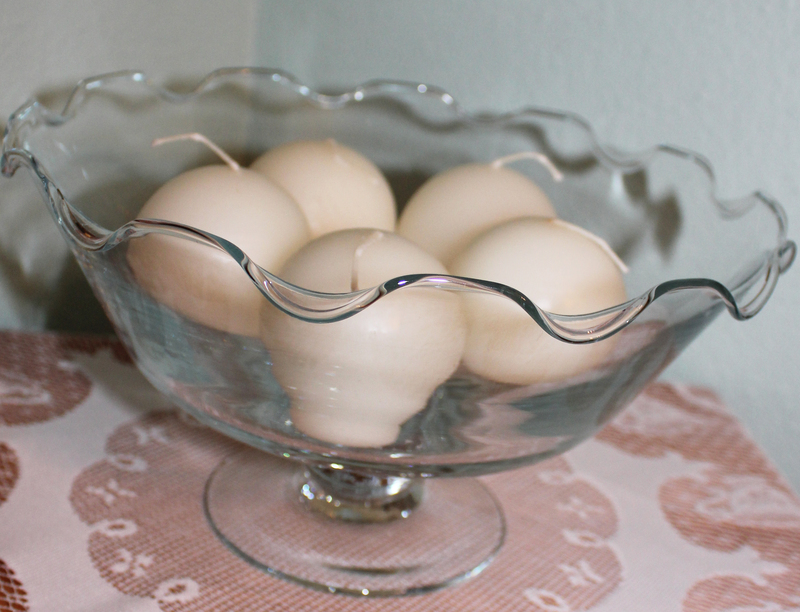 Creamy, snowball shaped candles nestled well in a clear glass bowl. 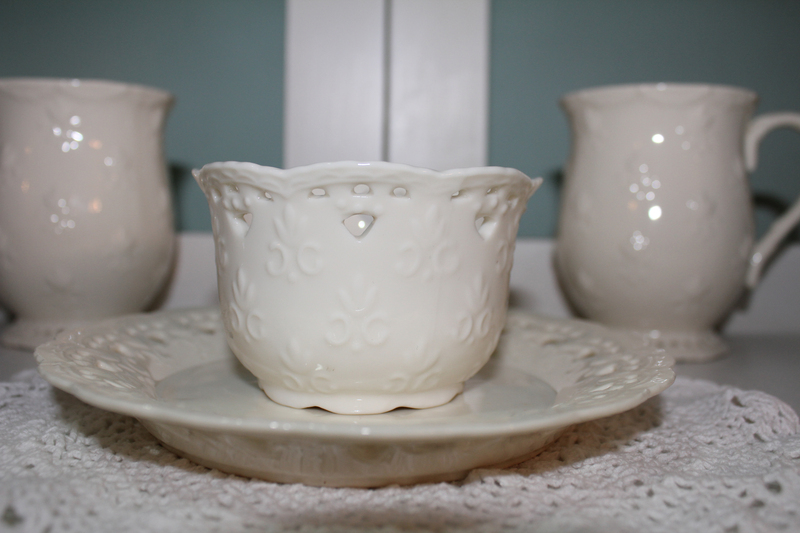 I love the fluted edges on this serving piece and I use it for decor purposes as much as I do for serving food. 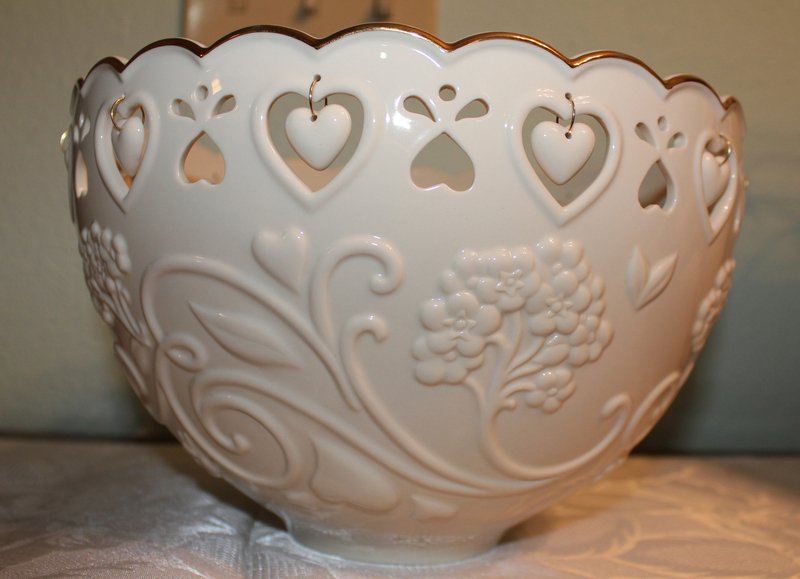 I love, love, love this bowl Captain Cavedweller gave me for Valentine’s Day last year. See the little dangly hearts? CC makes me feel all dangly when he gives me presents like this. 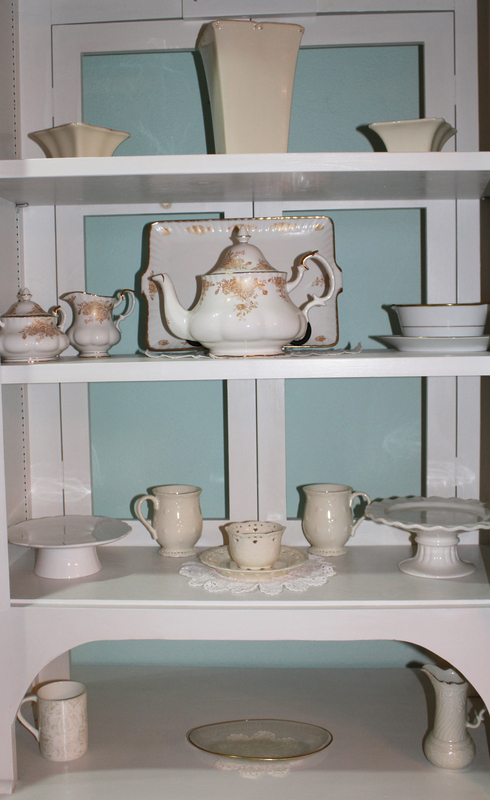 A cupboard full of pale, pretty pieces.